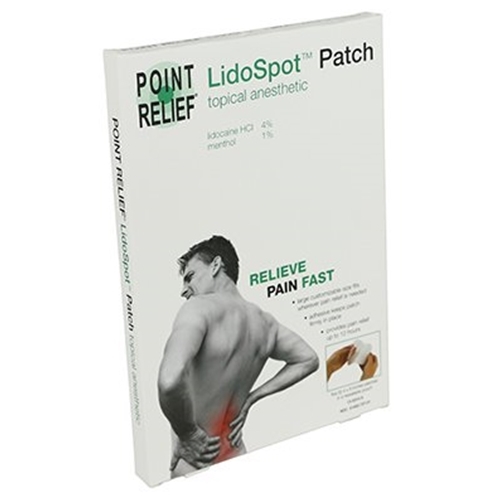 LidoSpot Pain Relieving Patch from HealthyKin.com provides long-lasting pain relief. Each patch contains the highest permissible amount of lidocaine (4%) without a prescription and 1% menthol. The patch is large enough to fit areas such as the thigh and can be cut to fit small, hard to fit areas such as the wrist or elbow. Use a LidoSpot patch after a pain treatment regimen to provide relief for up to 12 hours.